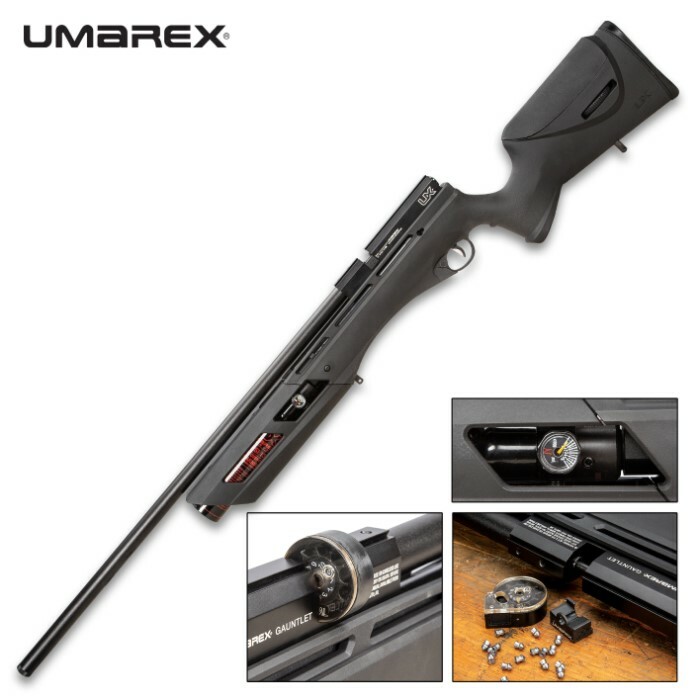 Umarex Gauntlet .22 PCP Air Rifle - Synthetic Stock, Adjustable Trigger, 10-Shot Magazine, 1,000 FPS, Dovetail Rail - Length 46 3/4” | BUDK.com - Knives & Swords At The Lowest Prices! 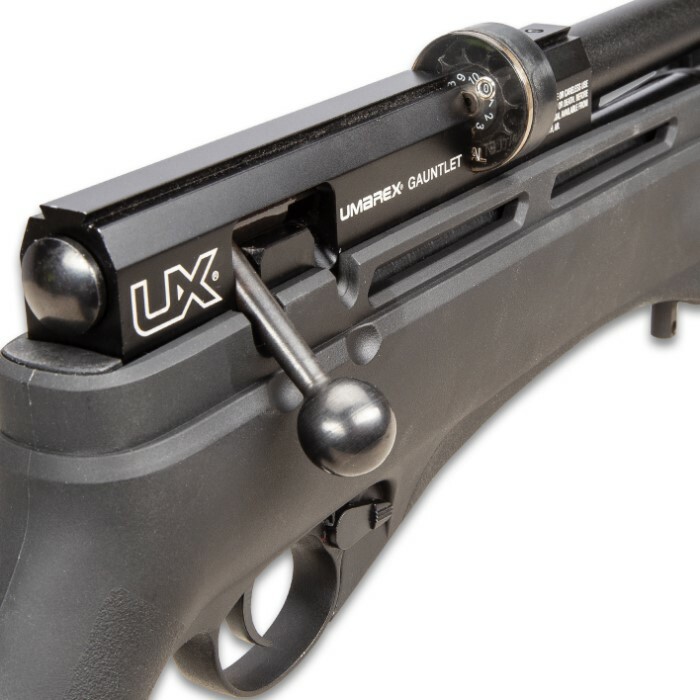 The Umarex Gauntlet .22 Air Rifle provides a huge number of consistent, powerful shots from one fill of its high capacity 13-cu. in. regulated tank. 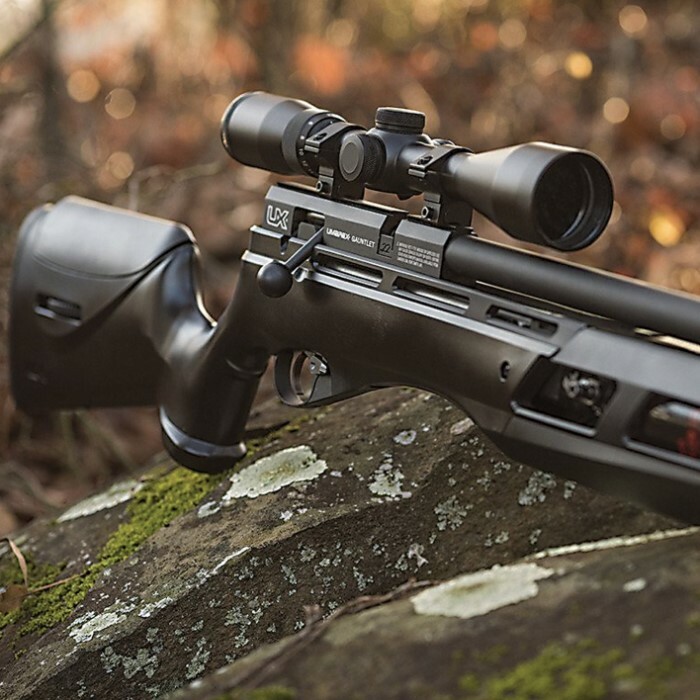 The built-in regulator delivers minimal FPS variation from shot-to-shot for long, flat shot strings—this translates directly into outstanding accuracy for hunting, Field Target competition and just-for-fun plinking. 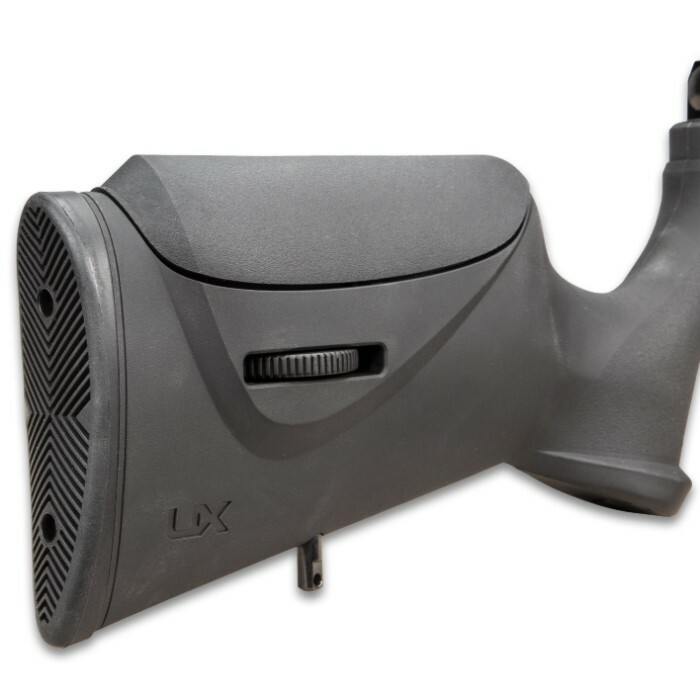 This multi-shot repeater with an adjustable trigger uses easily loaded interchangeable 10-shot magazines for rapid bolt-action firing. 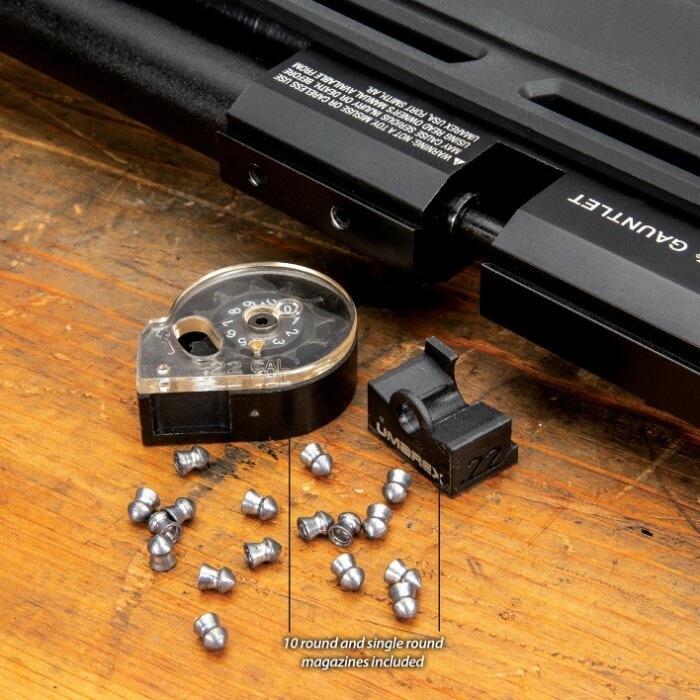 To maximize its accuracy capability, the Gauntlet is well-balanced and has integral standard dovetails for scope mounting. The easily adjustable stock comb is adjusted by the turn of a knob and locks into position for the ideal cheek weld, whatever your physique or optic choice. Target shooters will appreciate the included single shot tray for the ultimate in precision shooting. 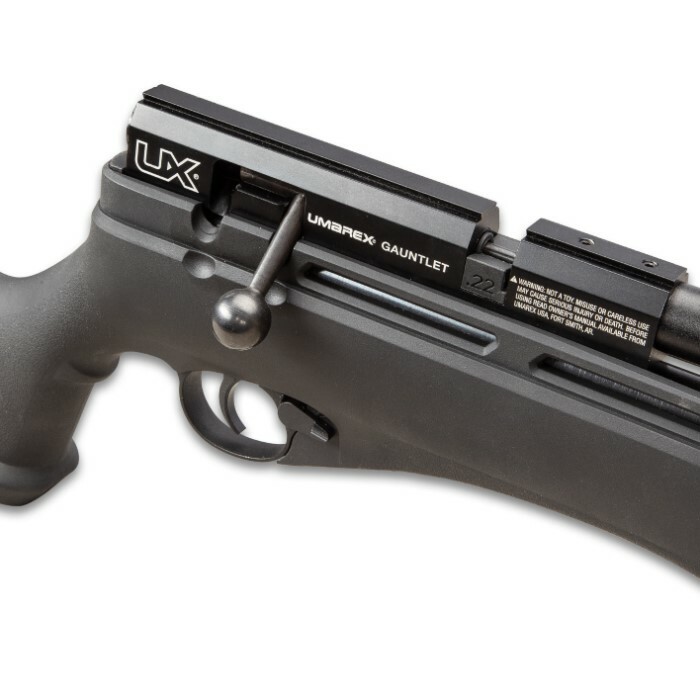 At 8 1/2 lbs, the Gauntlet is a comfortable air rifle both at the range or in the field. The stock’s integral studs allow a sling to be fitted for easy carrying on a hunt. Everything about this air rifle has been optimized to set the new standard in PCP performance. 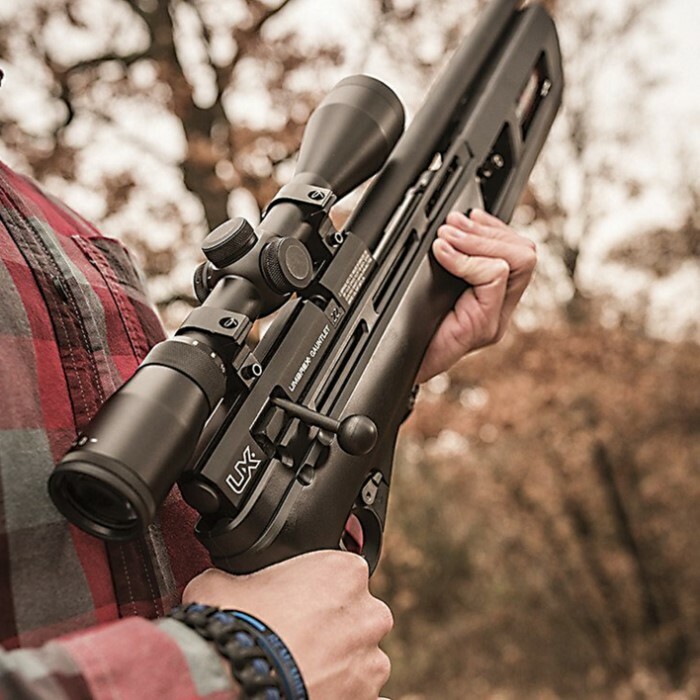 This is the PCP air rifle every shooter will want!